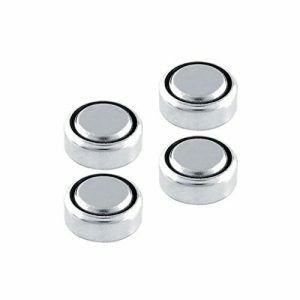 Duracell MN21 12V Alkaline Battery A23, GP23A, L1028, LRV08, AG23, R23A, V23GA The MN21 (or A23, V23GA, LRV08, or L1028) is a popular battery commonly used in car alarms, burglar alarm remote controls, and cigarette lighters. ? Type: Alkaline ? Voltage: 12V ? Length: 28.9 mm ? Diameter: 10.3 mm ? Terminals: Flat Terminals The MN21 is best suited when you need reliable, long lasting life from your everyday devices like: ? Car Alarms ? Key Fobs ? Burglar Alarm Remote Controls ? Cigarette Lighters ? Electronic Door Locks ? Garage Door Openers The MN21 also fits the following dog collar devices: ? IUT-300-Ultra Smart-One dog ? IUT-302-Ultra Smart-Two Dog ? BT-502A ? SD-100A ? IUC-5100 Contain and Train Transmitter (Underground Fence System) Also Known As: 1811A, 23A, 8F10R, 8LR32, 8LR932, A21, A23, BAT012, E23A, EL12, GP23A, K23A, L1028, LRV08, MN21, MN23, MS21, N21, N21, PX32A, PX32AB, PX32B, RV08, RVO8, S21, V23GA, VR22Duracell, Duracell 12v Mn21 Pack Of 2.